To make the review more objective we offer you to compare tyres Avon 3D Ultra Sport with any of those on which you drive. You can fill not all fields, but the more you fill, the more motorists will thank you. 3D Ultra Sport 120 / 60 R17 3400 руб. 3D Ultra Sport 120 / 70 R17 3000 руб. 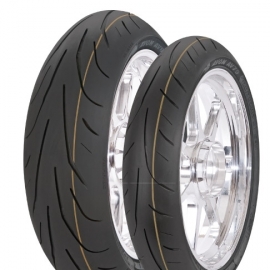 Ideal tyre for your hypersport bike. Outstanding handling and grip characteristics. Manufactured in the UK.